I don't have scars on my hands, but I have a constant reminder of the scars on his. Recently I've been exploring my relationship with God. I would say it was a new years resolution, but honestly, I just used that as an excuse to get started. I posted a few weeks ago talking about the three steps I took to get a jump-start, but there's so much more to a relationship with God. In my opinion, it's a daily choice to wake up and say I am going to continue growing in my faith. I try to start every morning with my devotional as a way to say, "I choose you." He chose each and every one of us and continues to choose us every day. What people don't understand is that not everyone connects in the same way with Him. I enjoy reading a devotional and journaling or going to yoga, but a lot of people find Him in music or art. That's okay. If he wanted us all to be the same, then he would've created us that way. Think about how boring life would be if we didn't have the freedom to choose our paths. 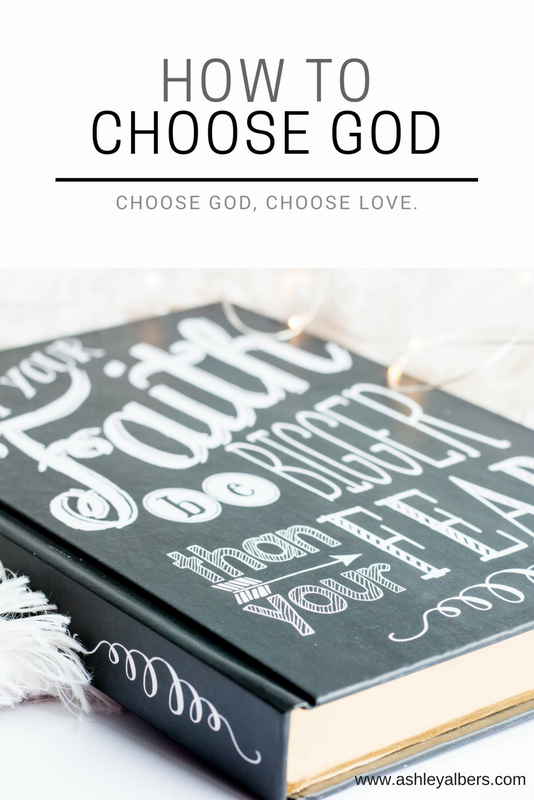 God wants us to choose Him; He doesn't want to be forced on us. Love isn't having someone force their will on you; love is having a mutual relationship of respect and trust. God has the power to intervene in our lives and have us do his will, but that isn't going to result in a fruitful relationship. When we use our free will to choose a relationship with Him willingly, that's when the real blessings start happening. Think about it this way; we've all had that friendship where someone is more invested than the other. The best example is that annoying little kid who always tags along even when you don't want them. If God forced himself on us like that annoying little kid, we wouldn't be able to recognize that he's with us because he loves.